The green iguana is undeniably the most popular reptile pet in the United States today. Every year huge numbers of this species are imported into the United States from iguana farms in Central and Southern America. Green iguanas can be found in almost every pet store in the United States, and some "fairs" have even given away these animals as prizes as they would with goldfish. Unfortunately, with this popularity, the retail price of the iguanas has dropped so low (ranging anywhere from 15-50 dollars) that many people have purchased this species without any knowledge of the animal's captive requirements, nor any realization that the proper set-up for their new pet will cost them 10 times (or more) the purchase price of the animal. Some stores that sell iguanas exacerbate this problem by selling completely inappropriate "kits", and giving incorrect captive care advice. This has resulted in huge numbers of dead or homeless iguanas and frustrated owners. The best way to prevent this problem is through education. There are several factors to consider before purchasing or adopting an iguana, number one is size. Iguanas get big. Healthy iguanas can easily reach six feet, and subsequently require huge enclosures. Iguanas are not easy captives, they have very specific dietary and environmental requirements that take effort and planning to meet. Children of any age are NOT responsible enough to care for an iguana, parents must assume full responsibility for the care of the animal. Iguanas can also carry salmonella bacteria. Salmonella bacteria can be transmitted to humans through poor hygiene practices, and can cause a serious bacterial infection, especially in children, the elderly, and persons with compromised immune systems. The risk of contracting a salmonella infection from a pet iguana is low however, if everyone that handles the animal or cleans the enclosure washes their hands, and cage dishes and furniture are kept away from food preperation areas. Iguanas can make excellent pets, but they require a lot of attention. If an iguana is still desired, check local reptile societies and agencies first for adoptable iguanas. 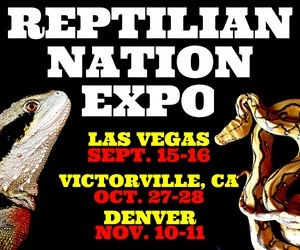 Many reptile societies have an adoption program for homeless animals, and an iguanas can often be adopted for a small fee. Because there is so much misinformation about this species in the pet trade, many new iguana owners do not know what they are getting into, and often end up giving their animals away because they no longer can or want to care for them. As a result, reptile adoption agencies are often overrun with homeless iguanas (they get their share of burmese pythons too, for the same reason). If an iguana cannot be obtained from a reptile adoption agency, it may also be purchased. Most iguanas sold in pet stores are babies or juveniles, it is of utmost importance to select a healthy animal. 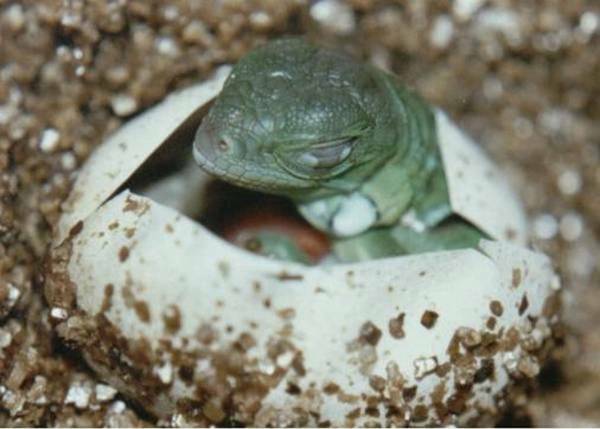 Healthy baby iguanas are feisty, they run around madly and often slash their tails when anyone attempts pick them up. If the animal sits still and lies placidly when handled, it is not tame, it is sick. The eyes should be bright and clear. No external parasites such as mite or ticks should be present. Check the vent for any signs of caked feces, and the nose and mouth for any cheesy matter or bubbly mucous. Avoid animals that display these symptoms. The animal should have bright colors, be alert, active, and eat food with gusto. Properly cared for iguanas almost never refuse food, insist on seeing the animal eat. It is important to note how the animals are being kept, note whether or not they are being provided with the appropriate captive care conditions. I cannot mention how many times I have seen stores or vendors selling baby iguanas that were crammed into a ten gallon tank, all attempting to heat themselves on a tiny hot rock. Avoid these places like the plague, they do not know how to care for iguanas and cannot help with correct captive care advice. These places greatly contribute to the homeless iguana problem. Ask the salesperson pointed questions regarding proper iguana captive care, if they cannot answer the questions correctly, purchase the animal somewhere else. It is not impossible to obtain a healthy, well cared for iguana from a knowledgeable source, but it often entails some effort. Iguanas are big animals, they require a large enclosure. The normal size of an adult iguana is 5-6 feet. Adult iguanas should be housed in an enclosure with the minimum dimensions of 4 x 4 x 6 ft.(l x w x h). Iguanas require tall cages because they are arboreal (tree-dwelling), and prefer to spend the majority of their time as high off the ground as they can get. Branches just slightly larger than the animal's diameter must be provided for climbing. Branches can be purchased or collected, but collected branches must be sterilized with a dilute bleach solution before use (1 part bleach to 10 part water) and then washed with clean water. Young iguanas can be kept in smaller encloses, but the smallest size recommended is a 55 gallon aquarium. Within 4 months (providing you purchased your iguana at 1-3 months of age), your iguana should outgrow this size of enclosure, at which time it can be moved into the larger cage. There are no manufactured aquariums on the market today that are large enough for an adult iguana, so the only real choice is to home build or custom order a cage. Many companies who advertise in reptile trade magazines can build good custom cages of appropriate size. Proper substrates include newspaper with soy-based ink, bark chips, and Astroturf. Newspaper is by far the most practical, although the least aesthetically appealing substrate. Do not use wood shavings, corn-cob bedding, sand, or crushed walnut shells in iguana enclosures. Wood shavings (especially cedar) give off irritating fumes that can harm the animal's respiratory system. The other substrates are not digestible and can cause severe intestinal blockage if ingested. Iguanas are from tropical areas, and require rather high relative humidity to shed properly. A relative humidity of 75% or greater can be obtained by misting the enclosure once or twice a day. Do not allow an iguana the free run of the house without supervision. More than one home fire has been started by a wily free roaming iguana that knocked over it's heat lamp. Free roaming iguanas also mean free roaming salmonella bacteria, which should be avoided at all costs. Unsupervised iguanas can also damage furniture, wiring, and carpet. Iguanas are also especially adept at cramming themselves into the most unlikely, and hard to reach, spaces. This can cause severe stress to both the animal and the owner when extraction is attempted. It is critically important that iguanas receive proper heating. Reptiles are ectothermic, meaning that they do not manufacture their own body heat. Reptiles must provide themselves with heating or cooling from their environments, this is done by a mechanism called thermoregulation. Thermoregualtion means that when a reptile is too cold, it moves itself into a warmer area, such as a basking spot in the sun, or a south facing hiding spot, and when it is too hot, it moves into a cooler area. When we confine reptiles in captivity, we must provide a cool area and a warm area so that the animal can determine its own body temperate as it would in the wild. Iguanas require a basking spot of 95-100 degrees F, and a cooler end of 80-85 degrees. At night the temperature can safely drop to 70-75 degrees, provided that the animal can warm up during the day. The best way to provide a basking site is to use a basking lamp. A branch should be placed laterally under the heat lamp to provide the animal with a basking site. Make sure to screen in the bulb or place the bulb out of the iguana's reach so it cannot burn itself. Proper heating is important to maintain a healthy immune system and proper digestion. It should be noted that heating rocks are not appropriate heat sources for iguanas. Arboreal reptiles do not lay their bellies against hot surfaces in the wild to warm up, and should not be forced to do so in captivity. Iguanas require what is termed "full spectrum lighting". Full spectrum lighting simulates the wavelengths of natural sunlight. Iguanas require irradiation by light in the UVB range (290-315 nm) to create vitamin D3 . Iguanas need this vitamin in order to absorb calcium in their diets. Without full spectrum lighting, iguanas develop a condition called metabolic bone disease, which is a calcium deficiency. Full spectrum lighting is provided by fluorescent bulbs specifically manufactured for use with reptiles (not plant grow lights). Make sure to obtain a full spectrum light that also provides UVB, some "full spectrum lights" do not provide these necessary wavelengths. It is important that a basking branch be placed 10-12 inches away from the fluorescent light source. The strength of the UVB lighting is severely diminished past 12 inches from the source. The fluorescent lighting in the iguana's cage should be left on 10-12 hours a day, and turned off at night. If the fluorescent light is left on at night, iguanas cannot sleep and they become stressed (and cranky). Full spectrum lights must be replaced every six months, even though they will not burn out before this time. The full spectrum effect of these bulbs wears off over time. If possible, allow the iguana access to natural, unfiltered sunlight, but be careful to provide a cooler area so it does not overheat. Unfiltered sunlight is the best source of full spectrum light, but sunlight through a window is not sufficient as glass screens out the beneficial UV rays. Do not put an iguana outside in direct sunlight in an aquarium, glass aquariums heat up quickly and can cause death from overheating. Do not take the iguana outside unless the ambient temperature is above 70 degrees F.
No single aspect of iguana husbandry seems to produce more misinformation than diet. Iguanas are entirely herbivorous (plant-eating) from the time of birth and do not require any type of animal protein at any point in their lives. 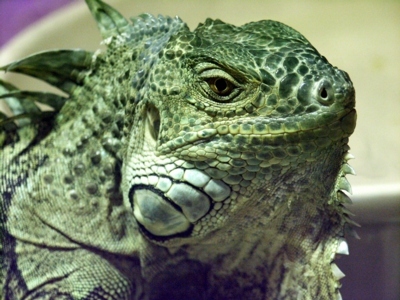 Older iguana studies indicated that iguanas displayed quick growth if fed large amount of animal protein, which is true. What is also true however, is that iguanas fed large amounts of animal protein do not live very long, often as a result of gout or metabolic bone disease. It is important to offer iguanas a diet composed of calcium rich greens, fruits, and vegetables. Herbivorous reptiles require a calcium to phosphorus ratio of 2:1 in their captive diets in order to fare well. A diet that provides for this necessity is as follows : 70-80% Dark, leafy, calcium rich greens such as: collard greens, mustard greens, endive, watercress, and dandelion greens. If they can be obtained, mulberry and hibiscus leaves should be included as often as possible. Avoid iceberg lettuce entirely, it has no nutritional value. Spinach should be either fed in small amounts or avoided entirely because it contains oxalic acid, which binds calcium in the intestinal tract, making it unavailable. 20-30% Grated vegetables such as: carrots, winter squash, pumpkin, zucchini, thawed frozen mixed vegetables, and spineless prickly pear cactus pads. Avoid or feed sparingly: broccoli, brussel sprouts, cabbage, kale, escarole, cauliflower. These vegetables contain iodine binders that can cause thyroid problems. 10-20% Fruits and flowers such as: strawberries, raspberries, mango, papaya, kiwi, melon, apple (no seeds), prickly pear cactus fruits and flowers, hibiscus, nasturtium, and dandelion flowers. Iguanas love bananas, but they should only be offered as a treat because they have the incorrect calcium to phosphorus ratio. Make sure to cut and grate all food into bite size pieces for babies. In addition to proper diet, iguanas require calcium supplementation. 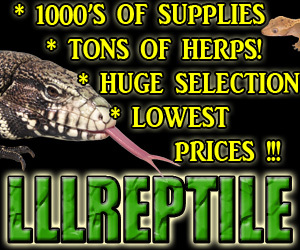 Calcium powder can be purchased at reptile stores. Calcium powder should be lightly sprinkled over the iguana salad three times a week for juveniles (who should be fed every day) and one or twice a week for adults (who are feed once every other day). Water can be offered in a dish, but the cage should also be sprayed once a day to raise the humidity. Iguanas will often lick the water either directly from the spray bottle or off cage furniture. 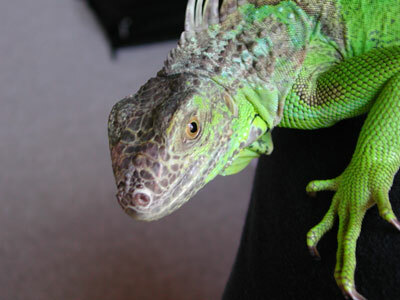 The green iguana is the most popular reptile pet in the industry today. As a consequence of the green iguana's popularity however, it is also the best represented homeless species in many reptile adoption agencies. This species is large, not naturally docile, and requires specific captive care requirements. The green iguana is definitely not suited for a beginning reptile pet. Green iguanas are amazing and beautiful animals that do not deserve the treatment they often receive in the pet trade. Educating yourself and others about the captive care requirements of green iguanas can help to reduce the amount of dead and homeless animals, and will improve the lives of iguanas and their owners everywhere.